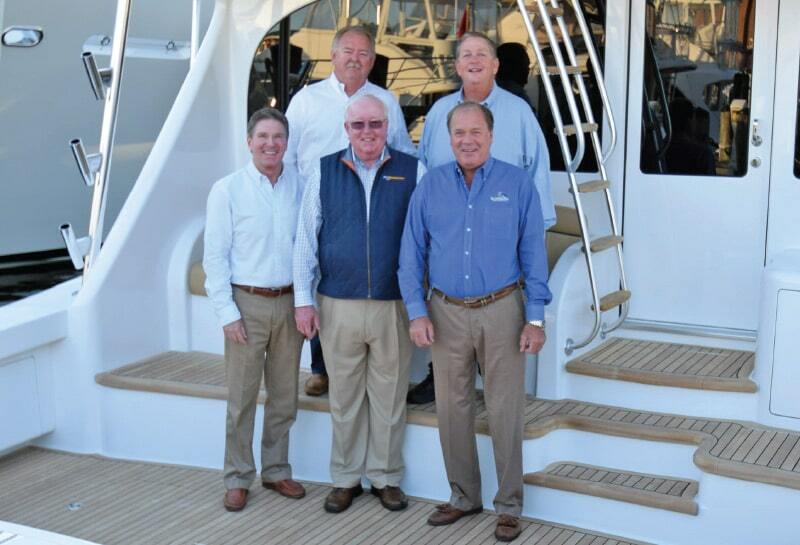 From a backyard sailboat operation to a driving force in the cruising and sportfishing worlds, Bluewater Yacht Sales has both shaped the industry and bowed to the winds of change. And it only took 438,000 hours to get here! The half-century point is a milestone that marks a rare breed of business. According to the U.S. Bureau of Labor Statistics, only about 36% of businesses make it to their 10th anniversary and about 21% to their 20th. Getting to your 50th? That’s a whole different level of “making it” and few—especially in the boating industry—succeed. So how was this accomplished? Like many who have come and gone, it all started with one man and a boat. 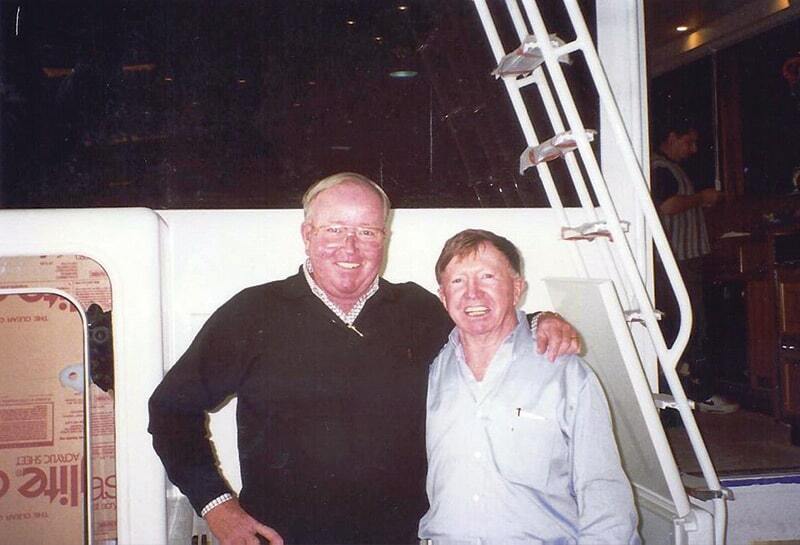 When 1968 first dawned, entering the boat business was not on founder Chris Hall’s radar. He was always into boats, as were his father and grandfather before him. He and his brother Earle had knocked around runabouts and racers, skiffs and sailboats from an early age. In his twenties, Chris started buying older boats and fixing them up with the occasional help from a much younger brother who could crawl into tight spaces and turn a wrench on request. But it was business where Chris first made his mark and by 1968 was a successful food broker, managing a thriving enterprise. Boating was an outlet and passion; he enjoyed his Cal 25 sailboat and with his success, decided it was the right time for a bigger boat. The local Cal dealers in Virginia Beach placed his order, but when it came time to deliver, a series of events saw them offer Chris a partnership in the company. He took it, but differing management styles ultimately led to a buyout. With some surprise, he suddenly found himself in the boat business. In company with such famous startups as Apple, Harley Davidson and West Marine, Bluewater was born in Chris Hall’s garage—with the deep water of the nearby Elizabeth River a distinct advantage. But this is not an “easy” industry. At the time, the boat business was largely a cottage industry of Mom & Pop shops. According to Jud Black, now VP of Sales and 30-year Bluewater veteran, this model generally ends up outgrowing its management capabilities. “Couple this with the cyclic nature of the economy and an industry defined largely as a luxury market—as soon as the economy takes a dive, they’re out of business.” Experts agree, and there are a host of other reasons most businesses don’t make it out of their ‘teen’ years. When asked about those early days, Chris Hall reacts with a chuckle. “We were small, really small. We picked up our own boats,” then with a grin, he leaned forward, “You know I was a student of making a buck. I had to be. 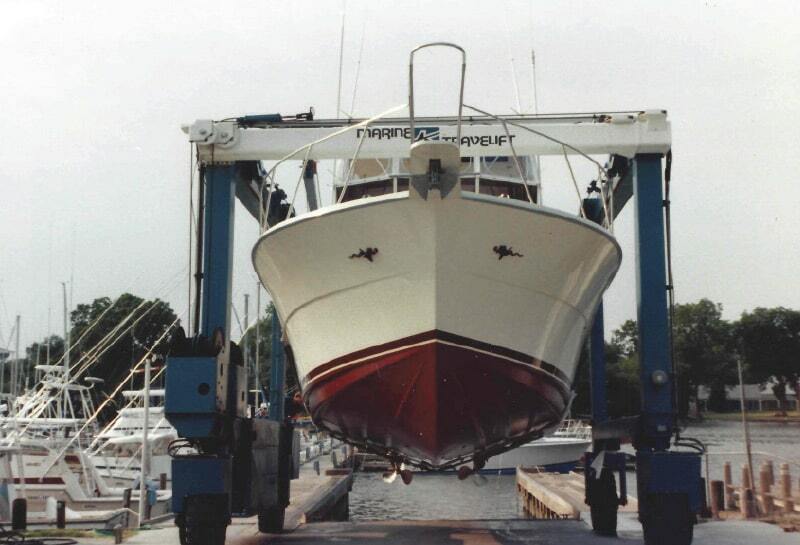 We’d drive to pick up boats ourselves, order them without the extras, then buy those frills locally for less and install them ourselves.” One story that illustrates Chris’ early ingenuity concerned the local Columbia factory located in Portsmouth. Bluewater was relatively close but would have to cover the cost of loading and hauling a boat between the locations on an oversized truck transport before unloading again. It was a painful cost for a short trip. Chris’ solution? “We hired them to drive their Travelift to us—in the dead of night—all the way here, across the swing bridge and down the roads. It was a sight,” he reminisces. As the number of stock boats grew beyond one, the first place Bluewater staged vessels was Norfolk Shipbuilding and Drydocks, where Chris could show boats by appointment. Here he met Ed Morris, a fellow boat enthusiast working in the survey department for a local naval architect. They made quick friends and Ed joined the crew racing aboard Chris’ Cal 29, Obsession. 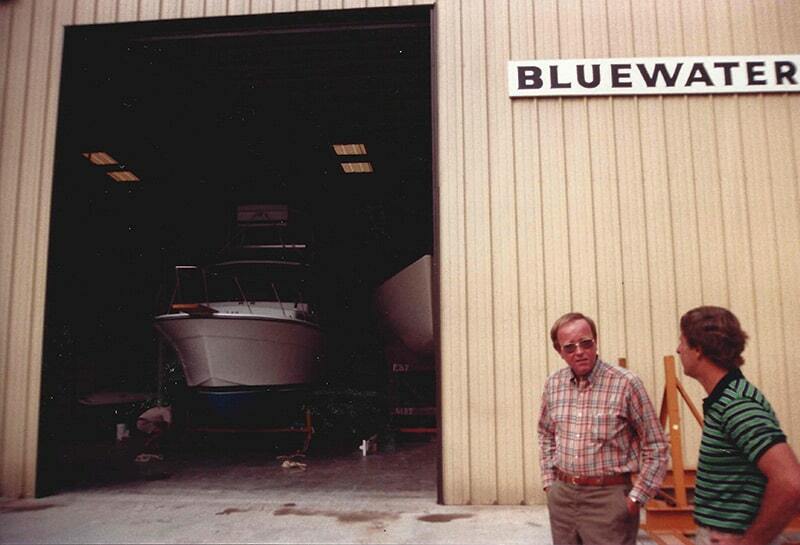 By 1970 Chris convinced Ed he should become Bluewater’s first full time employee, which meant doing everything from sales to rigging new boats. 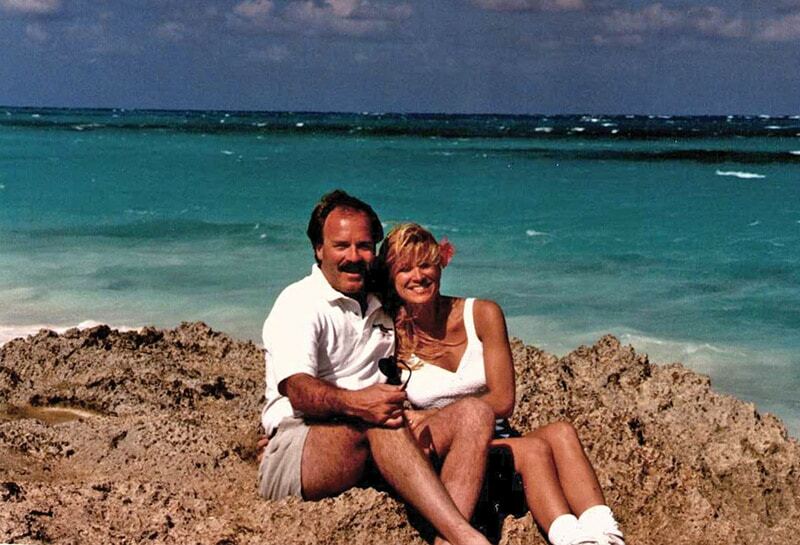 Around this time, Chris commissioned their first national ad in SAIL magazine, introducing Bluewater Yacht Sales with a message, “You don’t get to be number one by just dealing in your own backyard.” It was a prophetic claim, as Bluewater continued to see their reach expand. The growing business had Chris on the lookout for an actual service yard and when opportunity struck, he took it—across the James River in Hampton. “The new location had no bridges, deep water, and we would own it. 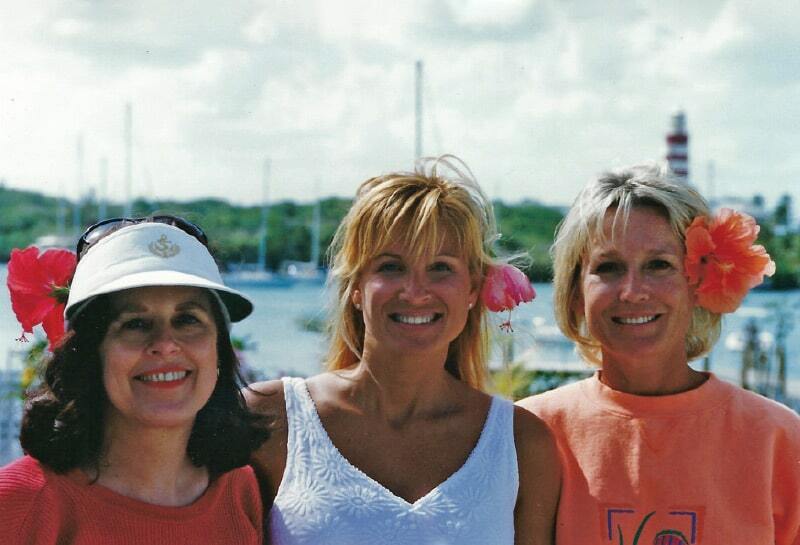 Hampton was a hub of boating activity, so it made sense,” muses Chris. This move would be just one of many “business decisions” that angled Bluewater’s upward trajectory. 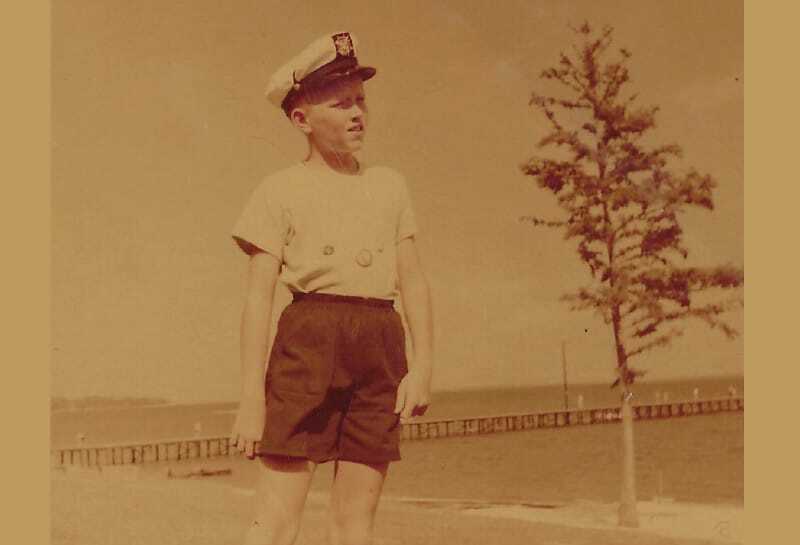 Their youngest boat nut was Earle Hall, who was there from the beginning, although he was too young to drive and relied on Ed to bring him to jobs. Now the VP of Service, Earle has a unique perspective on the evolution and trends that now span 50 years of boat sales, maintenance and upgrades. The longest-term employees signed up in those early years as well, with systems guru Tom Pinson and Brian Bassett who now hold 33 years and 31 years respectively, as well as Craig Messick, Bluewater’s long-time General Service Manager. Another early friend, Smokey Glover, introduced himself and would go on to collaborate on innovative projects at Bluewater to this day. 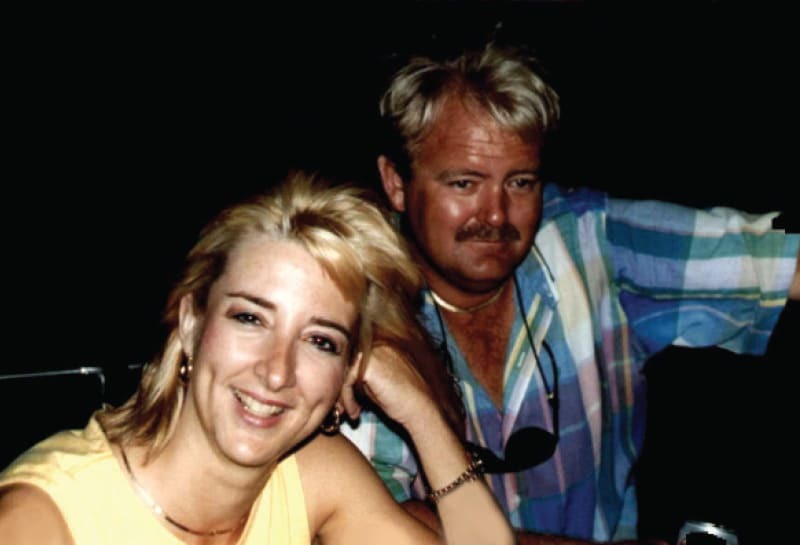 As boats were sold and serviced, family and friends came together to establish the roots of a Bluewater family of customers and personnel that laid the foundation of the business. Together they raced, cruised or spent hours tinkering on engines. Early on there was little distinction between family and staff or “friend” and “customer”—boating was, and still is, recognized as a family affair. Ed’s brother Andy Morris often found himself getting called in whenever they needed more hands on-deck and some extra muscle. 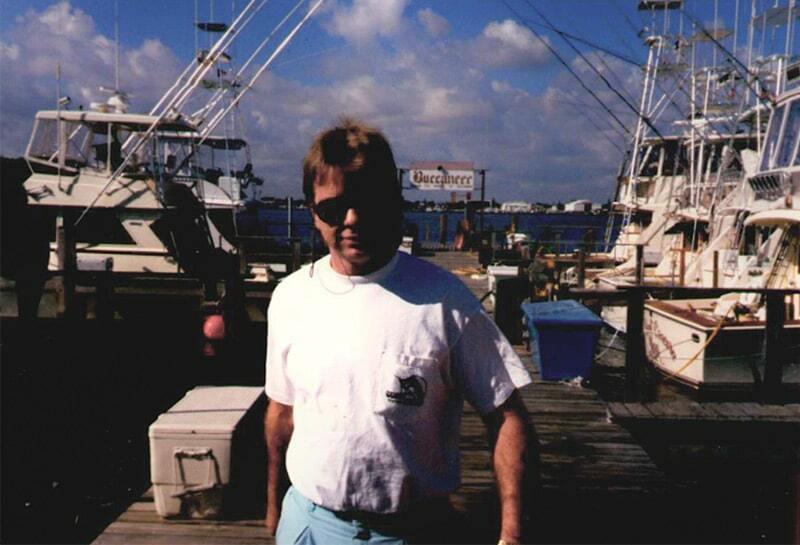 He went on to become the yard manager for several years in between jobs as a sportfish captain. 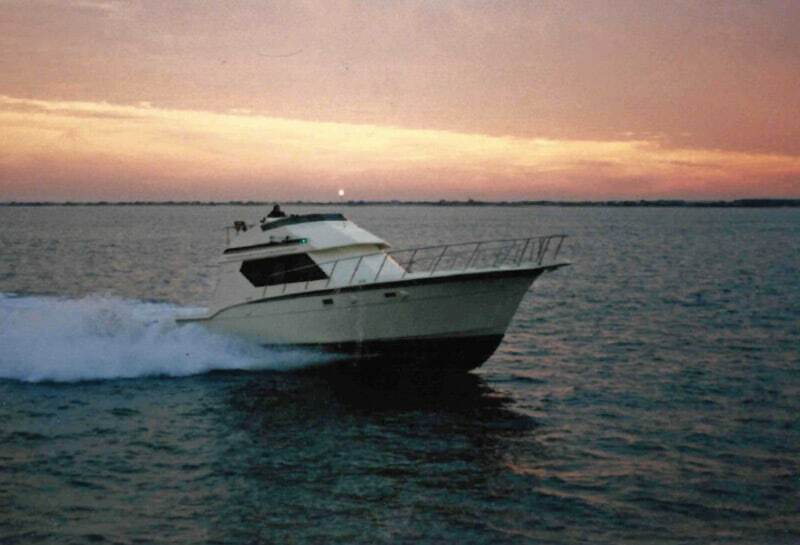 He was at the helm of the Bluewater demo boats before his latest stint with long-time friend and customer Charles Barker, first aboard a 65′, 74’, 82’ and now a 92’ Viking. By 1975, Bluewater was outgrowing the small yard at Bridge Street, and bought the neighboring 19th century Quinn Crab Company and added on a marina. Still seeking more elbowroom, Bluewater bought an adjacent outboard service business and patched it onto their footprint. 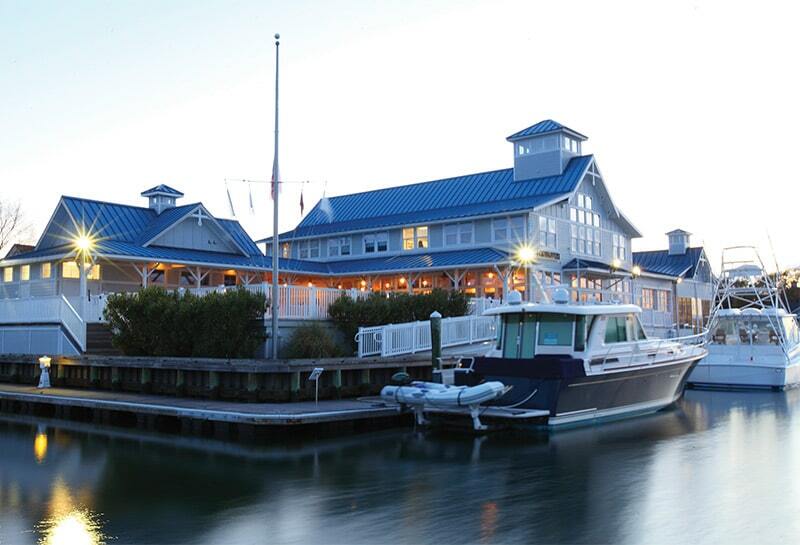 Chris started calling the group of three properties the Bluewater Yachting Center—which envisaged the future he was building—but with the Hampton Yacht Club next door, there wasn’t much more room. Chris’ vision had already outgrown what had taken ten years to build. It was a good time to take stock and figure out what came next. Selling boats always came naturally to the Halls, but it was that in combination with service, which gave them the “something extra” their competition couldn’t match. From those early cost-saving DIY measures developed a skillset focused on quality and fulfilling customers’ needs. Chris’ foresight and experience recognized the value of a “full service” concept and he set out to achieve just that. “So now we had these three properties pasted together, but we’d never really had a clean slate to work with—I wanted to be able to build the right set-up,” Chris explains. His dissatisfaction with the cobbled together footprint and his desire to fine-tune the customer experience, pushed him to look for an alternative. This drive would set them on a course to shift their focus in a way that was well ahead of the curve. 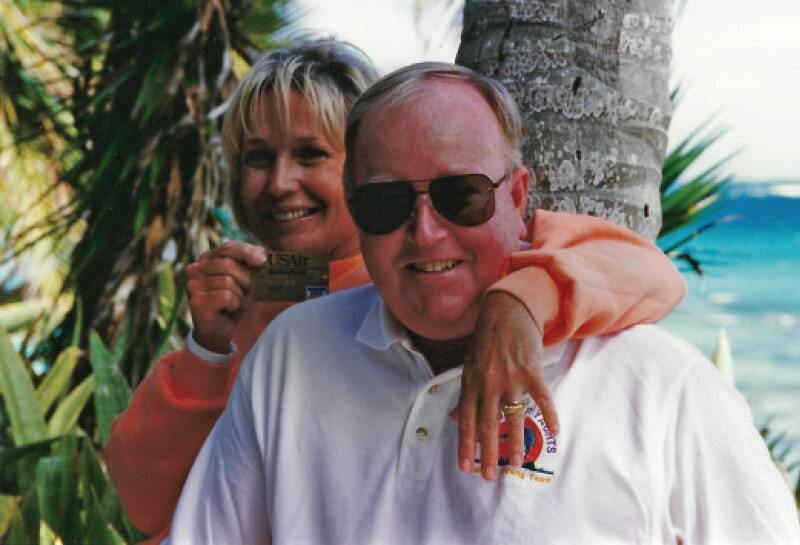 In 1979, Chris found an opportunity to buy Sunset Marina & Boatyard across the creek from their current location. 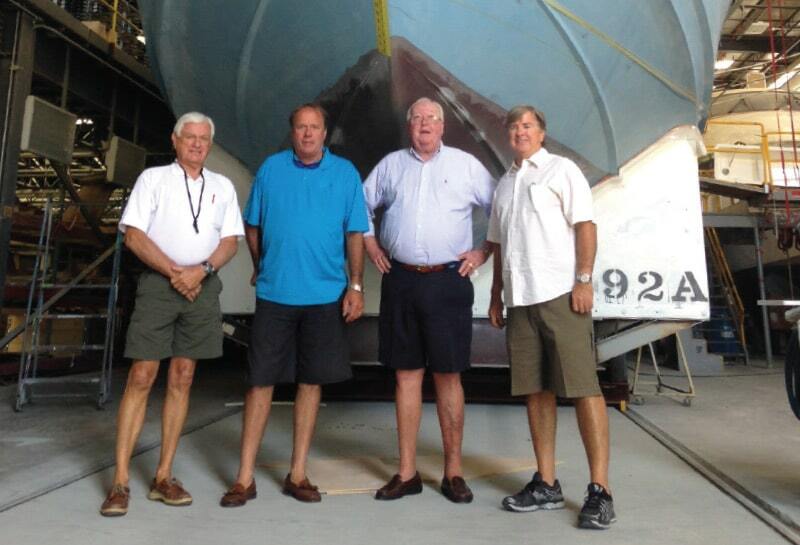 That operation held dealerships for both the Uniflite powerboat line and Pearson sailboats. At the time, they were more excited about Pearson because it was their biggest competitor—but it was the Uniflite dealership that would shift their course. They took the gamble and now had a full-fledged yard with Travelifts and space to build out the kind of service Chris and Earle envisioned. 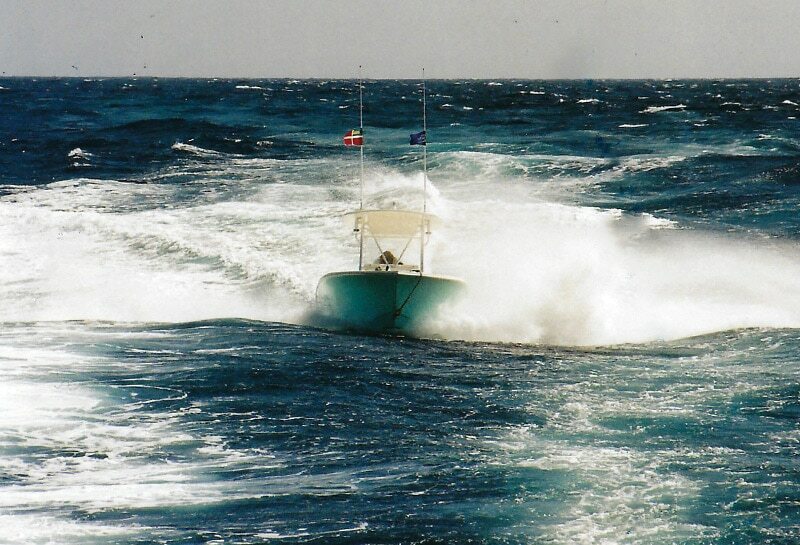 At the same time, they discovered that selling powerboats was both gratifying and lucrative. Chris recounts, “We made more money and it was a better program than we were used to. 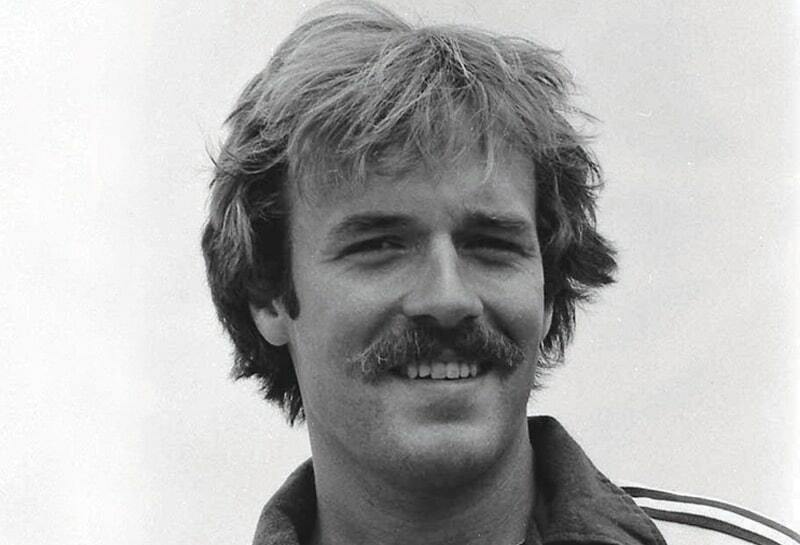 We added Topaz out of Maryland and it was the beginning of the end of sail for us, there was just a lot more opportunity.” He continues, “We didn’t just drop sailboats, it took 5 years.” In Earle’s recollection, this would not be an easy choice. “We grew up on powerboats and had been racing them for years, it wasn’t far-fetched in that respect. But we saw the signs indicating market shrink for sail and made the choice to exit. 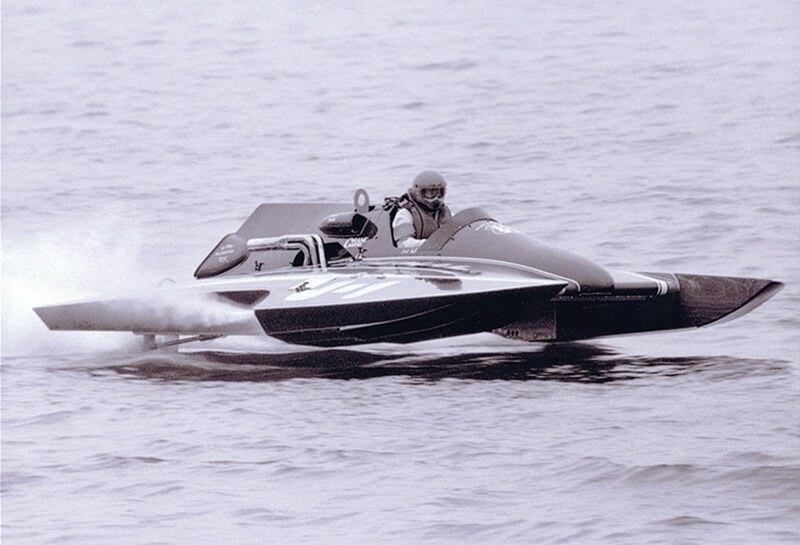 It was a tough decision to seemingly ‘throw away’ our heritage, but it was necessary.” Their heritage, however, showed no bias regarding propulsion—after all, it was their father, Curry Hall, Jr. who had introduced them to a Lauterbach hydroplane. 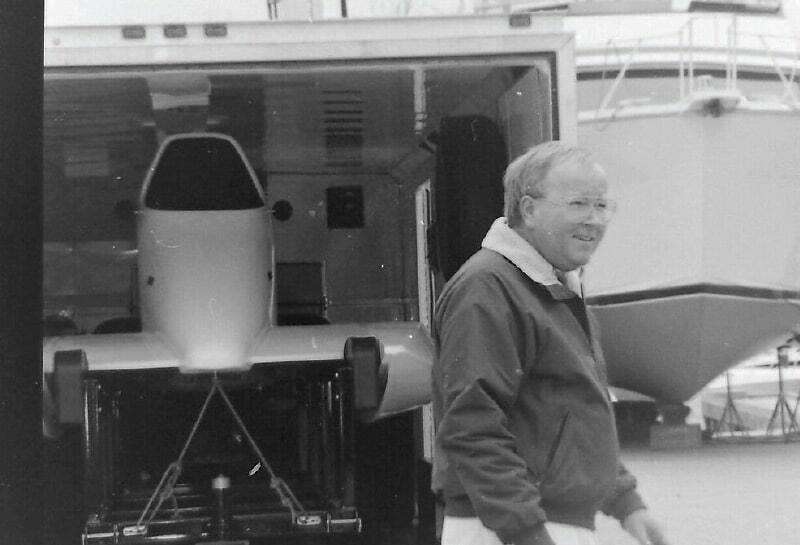 Henry Lauterbach was the number one hydroplane builder in the world and his original shop just happened to be in Portsmouth, Virginia. He too began his boat-industry career in sail, by building Hampton One Designs—a hotshot sailboat of the times. 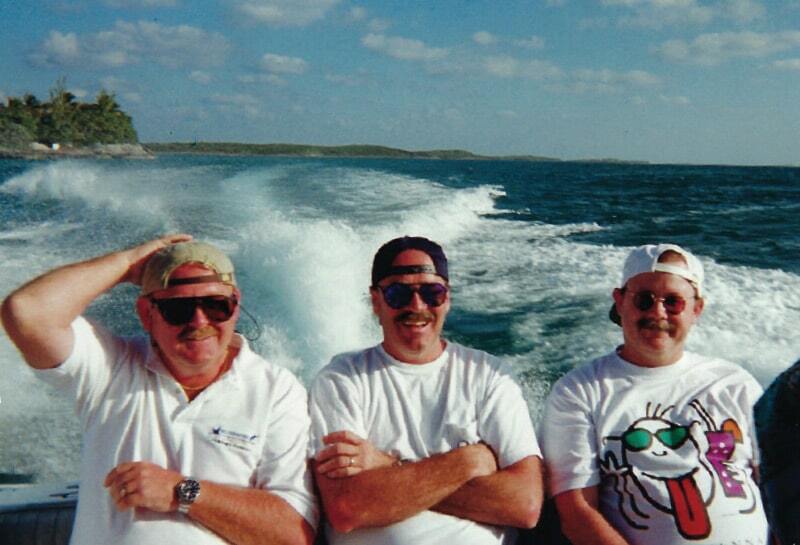 His sons were of age with Chris and the boys grew up together the best of friends. 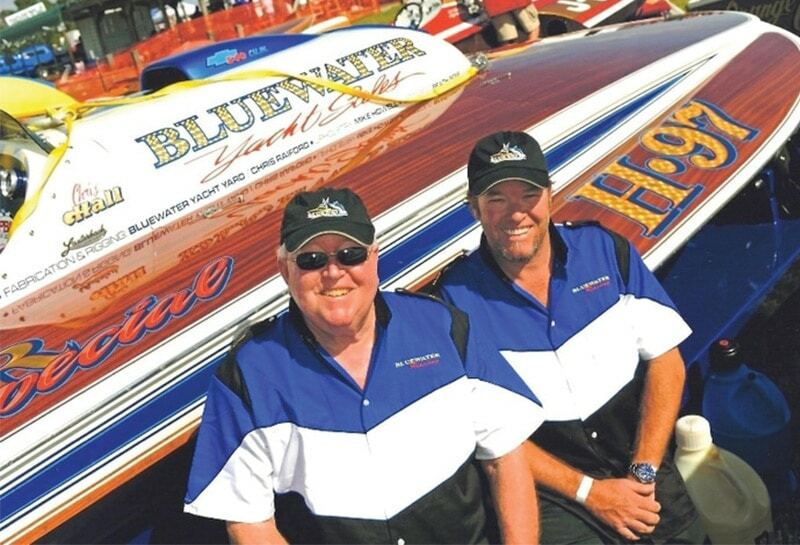 Much of Chris’ and Earle’s childhood revolved around that shop—a hallowed place where wood and metal were transformed into the machines that dominated the powerboat racing scene. They absorbed the finer nuances of lore and technique amidst the welding, wood, machine, paint and engine shops in which Lauterbach conducted his art. “A lot of the foundation for the service side of Bluewater came from the mentoring of Henry Lauterbach. He was a good person and something of a genius. He was meticulous, and engineering-wise, nothing was beyond him. An absolute master,” recounts Earle. “The expression, ‘If you’re always seeking perfection, you’ll find it,’—we got that sense from Henry Lauterbach.” All the Halls would take their turn on the racing circuit, from father to sons, and grandson, Chris—all behind the wheels of a Lauterbach boat or two. It was Henry’s legacy, his insistence on meticulous fit and finish and commitment to quality and hard work that permeates the Bluewater service culture. As the business moved into its second decade, the Halls continued to study elite service providers up and down the East Coast. 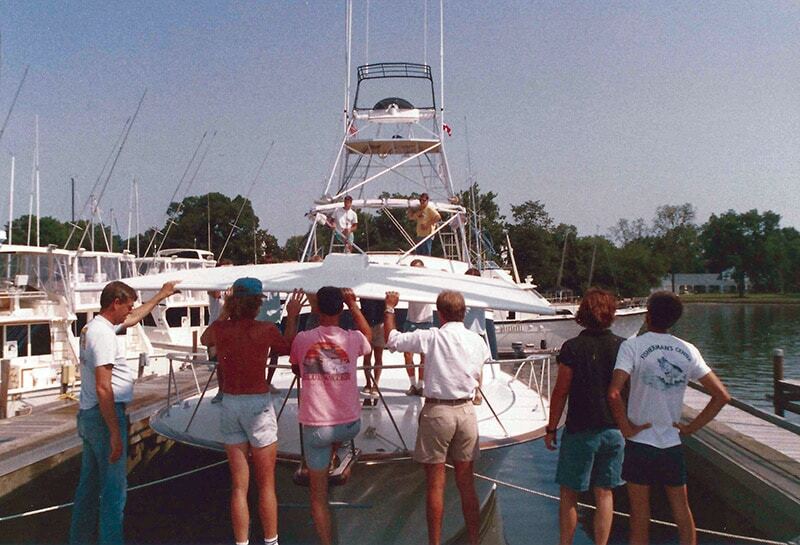 They developed a tremendous admiration for Dave Hurley, the original Hatteras dealer in Urbanna, Virginia. “Hurley revolutionized the Hatteras world with heavy customization. He had a fine yard and did great work—he was brilliant,” recounts Earle. More of a challenge was squaring that brilliance against reality. Boat owners seemed to prefer having use of their boats, as opposed to year-round yard time, so balancing a project with the owner’s wishes would be another lesson learned from Hurley. Incorporating this knowledge gave rise to a growing reputation for quality that extended up and down the coast, following the track of snowbird cruisers and itinerant fishermen. Sales were growing steadily, in large part due to the high standards of Bluewater’s expanding service acumen. Viking’s Tom Carroll and Patrick Healey flew to Bluewater to see the operation for themselves. “They had a reputation for running a top-shelf service operation and Viking put a lot of value on that. They stood head and shoulders above the competition—no question about it,” claims Carroll today. Carroll also makes strong points regarding the management angle of Bluewater, pointing out that they always reinvested in their business and let it grow when the opportunity arose. 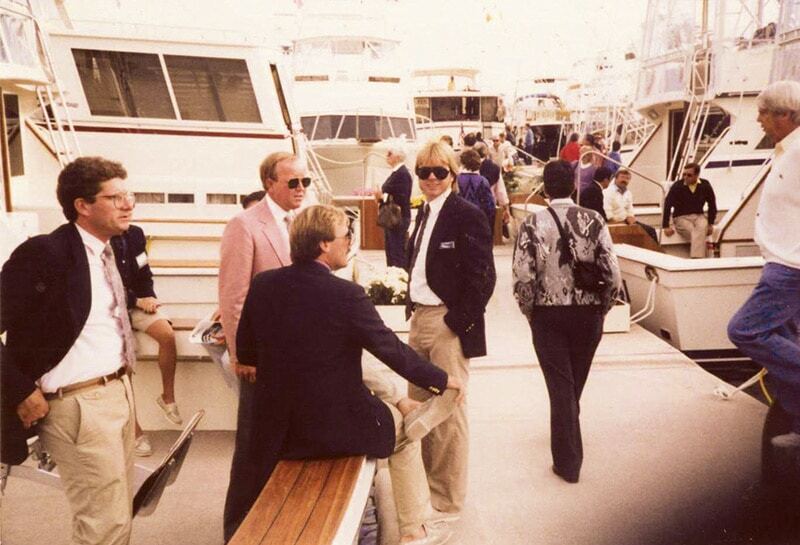 So, in 1985 Bluewater added the rising star of Viking Yachts to their dealership lineup. 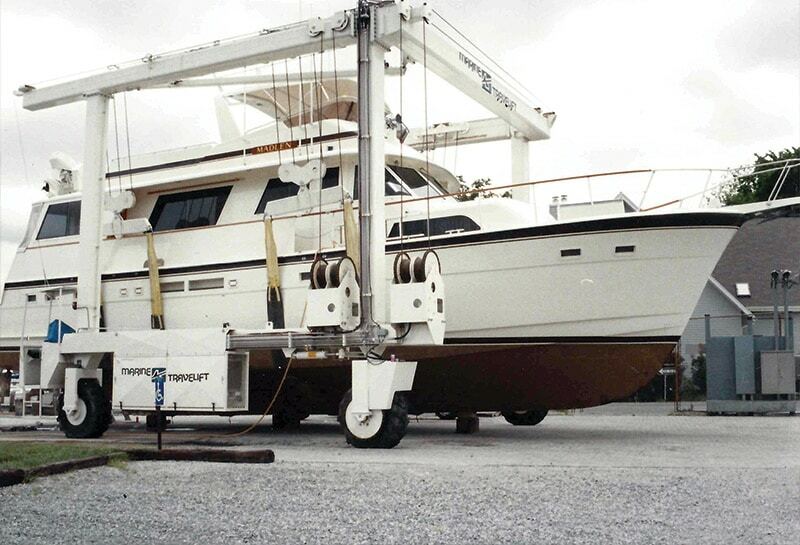 Soon thereafter, acknowledging Bluewater’s accomplishments as a dealership, Hatteras Yachts began pursuing Bluewater to represent them as well. 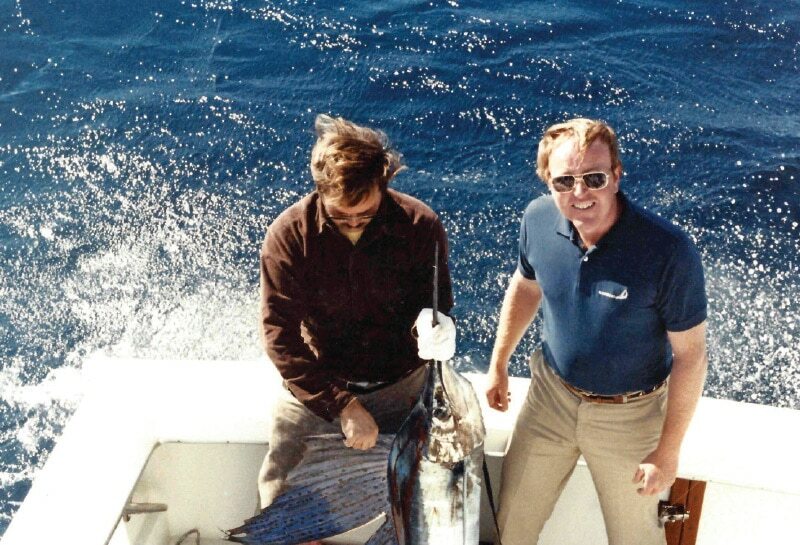 The Bluewater brand continued its evolution, becoming recognized as the mid-Atlantic sportfish specialists in the late 80s. 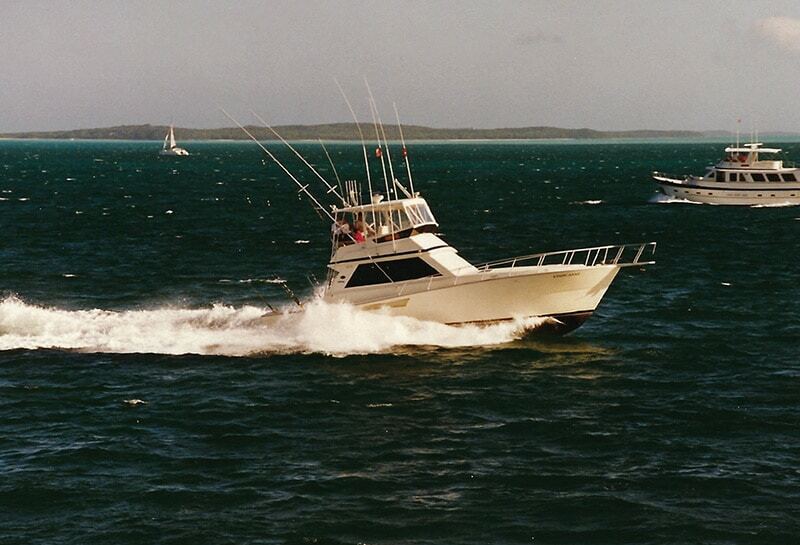 The Halls had long been involved in big game fishing, which was honed as they began developing their own demo boat program fishing tournaments out of Virginia Beach, Oregon Inlet and Ocean City. They started fishing the Big Rock Blue Marlin and Hatteras Marlin Club events and when Viking gave them the North Carolina territory, they opened an office in Beaufort. Though they always kept a small boat line like Boston Whaler, they focused on the larger end of the market while partnering with the most dominant brands in the industry. Earle was relentless in keeping the boats perfectly turned out—and in doing so, the team became a cohesive unit. 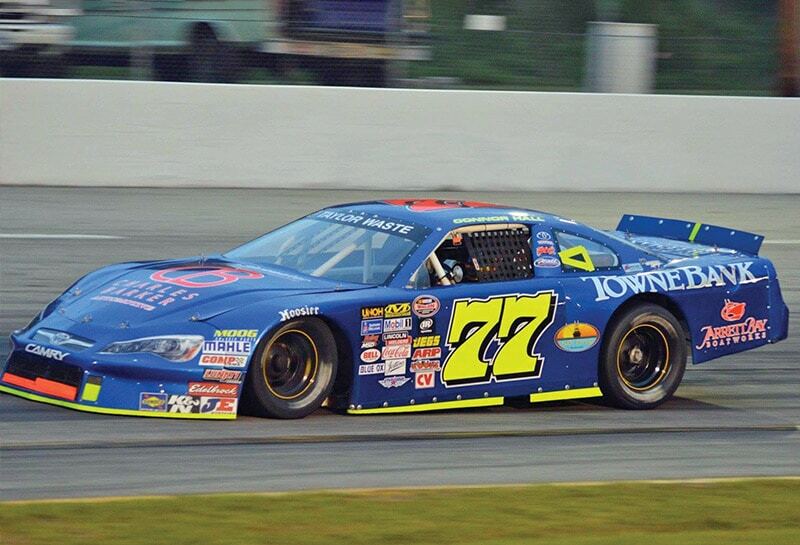 In this, one can see the organic attachment to quality and attention to detail that permeates the Bluewater mentality—as inherited from those days with Henry Lauterbach and eternalized throughout the Halls’ various racing teams. Chris continued to invest in the business and in 1987 Bluewater built out a large paint building in addition to the individual spaces housing welding, carpentry and machine shops. 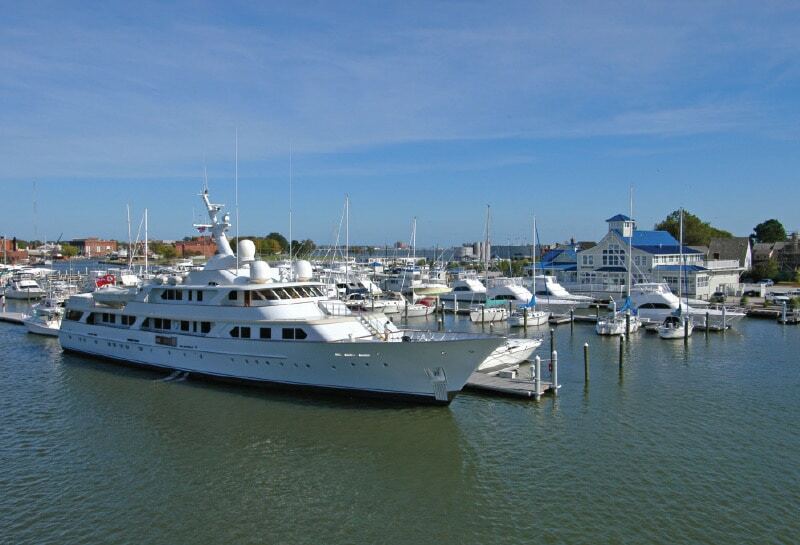 Both Hatteras and Viking took turns asking Bluewater to expand into Maryland and they opened an office in Annapolis. 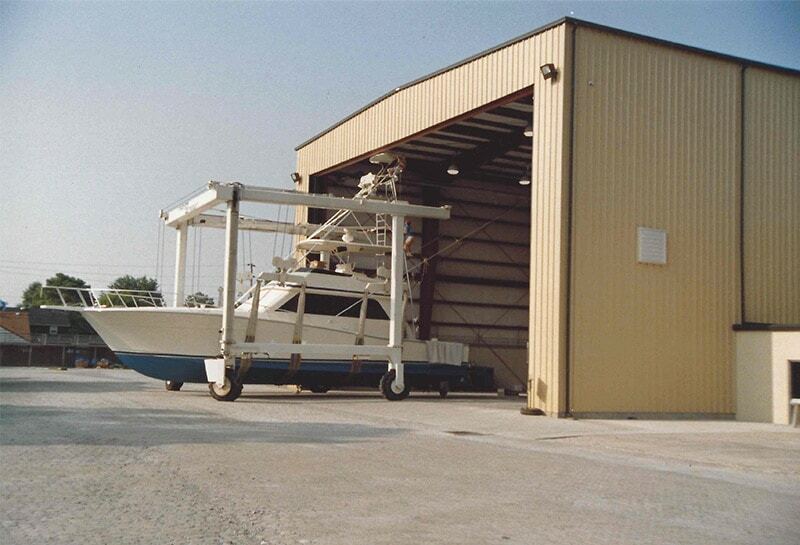 In 1988, they made some big moves, consolidating their large boat sales and service operations at the Marina Road site and turning the Bridge Street site into a small-boat store they called Boater’s World. The new company housed a retail showroom for their Evinrude, Mako, Boston Whaler, Sea Craft, Elite Craft and Zodiac brands. Eager to get off the road working for Boston Whaler, area local Jud Black returned when Chris offered him the opportunity to run this new operation. 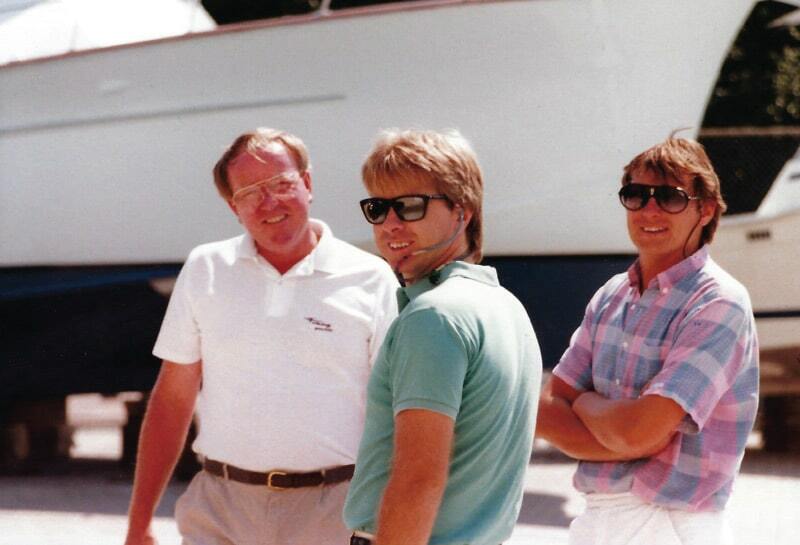 It was Jud who hired a young version of the current Hampton Yard Manager, Craig Messick, in 1989. The ensuing years were rough ones for everyone as the economy plummeted into recession and the government instituted a luxury tax on purchases over $100,000, compounding the matter for the boating industry. Chris’ answer to the downturn was to consolidate Bluewater’s strengths and “hunker down,” continuing to do what they did best and eliminating waste and weaker product lines. Chris and Jud handled sales and Earle and his small crew ran the service yard like a tight ship. The early 90s were tough, but eventually the storm eased, things picked up and opportunity knocked. 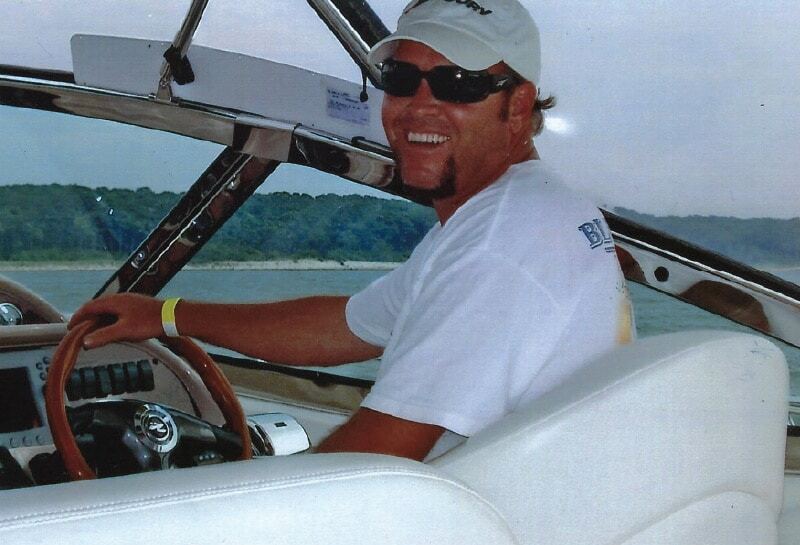 In 1996, Chris made the decision to purchase a neighboring marina with plans to turn it into a 200-plus slip destination. There were those who thought it a risky undertaking, and others who thought he was crazy. Eventually he convinced the Hampton Yacht Club to buy the Bridge Street facilities, and he was all-in on his next visionary project. Meanwhile, the rebound generated a renewed demand for the Hatteras and Viking lines and the sales operation expanded again. Bluewater set up a sales office at the rising Pirate’s Cove Marina to take advantage of the influx of sport fishermen. 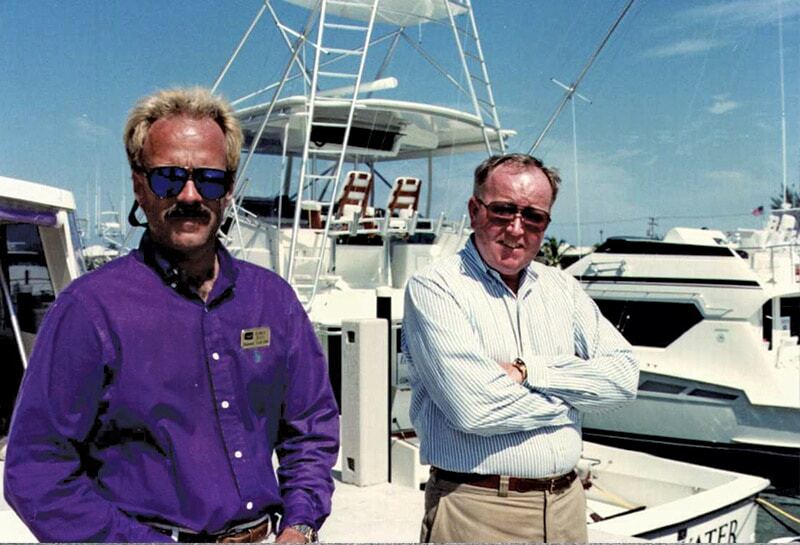 In 1999 Earle and Jud became Chris’ partners in the Bluewater Yacht Sales venture, taking on the roles of VP of service and sales. It was shortly after that, while coming back from a Florida boat show, that Chris laid out a stunning change of direction, “We should be exclusively Viking and let Hatteras go.” The reaction was incredulous. Per Earle, “It was like proposing we break up with the prettiest girl in school. 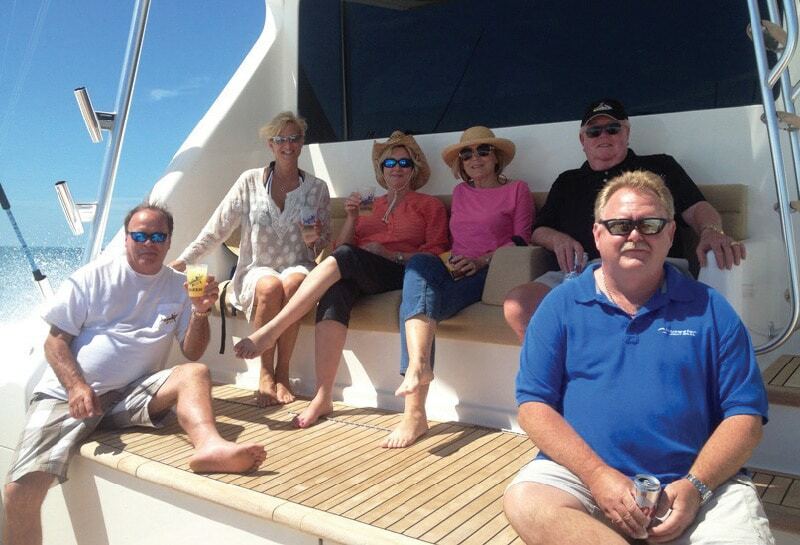 Everyone LOVED Hatteras.” Earle gives Chris credit for the foresight in recognizing what was missing. The brand seemed headed in the wrong direction—leaning towards a more corporate mentality, and increasingly out of touch with the heart of the sportfishing circuit. In contrast to the perceived complacency at Hatteras, the innovation taking place at Viking was sending them into a different orbit. Ultimately, the decision was implemented, and Bluewater never looked back. Quality being a recurring theme, in 2002 Chris’ vision was unveiled at a grand-opening event for the Bluewater Yachting Center. In just six years, he had managed to turn a “crazy” move into an unprecedented, visionary experience. Where once stood a decrepit waterfront strewn with broken pilings and rotting wood, emerged a yachtsman’s fantasy framed by bold blue roofs and bright white trim. 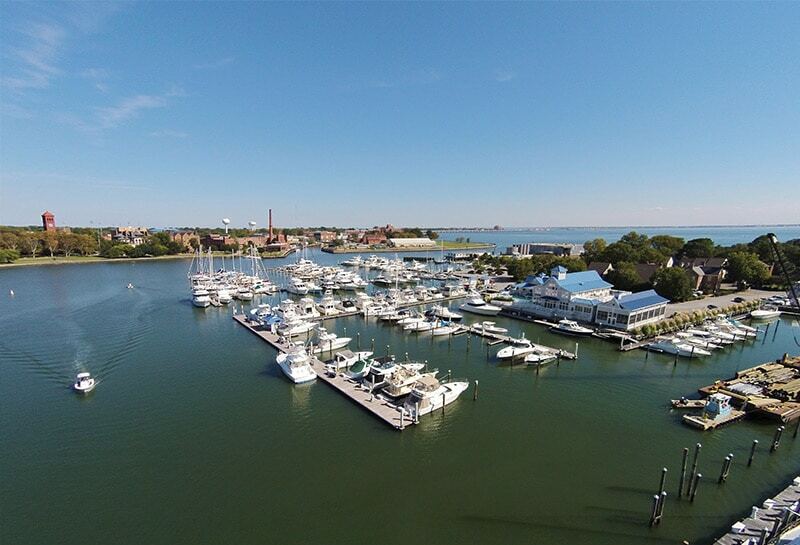 The marina received endless accolades in print and visitors sang praises of its customer-centric set-up. It was fit to be a crowning achievement, but Chris and his team weren’t done yet. For the early aughts the market was strong, sales and service booming. 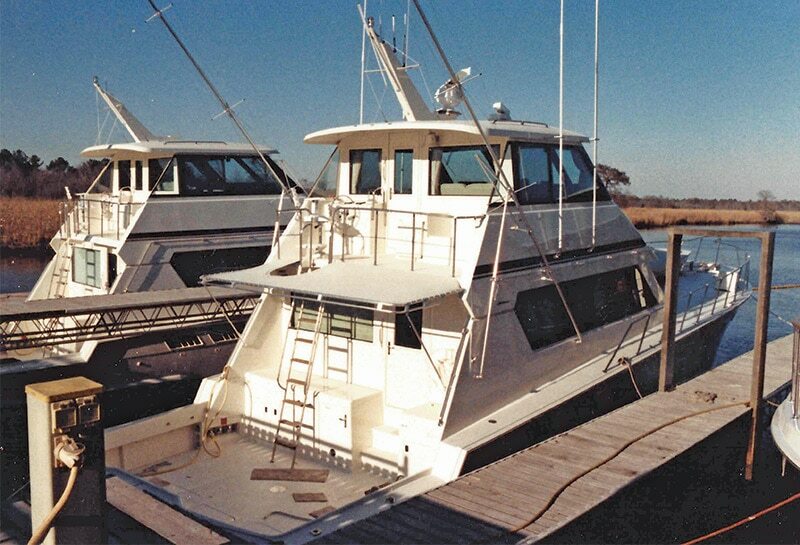 Bluewater capitalized by branching down to Wrightsville Beach and also opened a yacht service center on the Outer Banks inside Oregon Inlet—sportfishing’s East Coast Mecca. There were ups and downs, and though uncomfortable, they did not seem to hold the same concerns as previous downturns. Bluewater’s momentum was solid, and they were insulated by their top-shelf brands and steady stream of satisfied service clients. “From my earliest memories, Dad worked—always. He’s still working and selling—even without being aware of it. 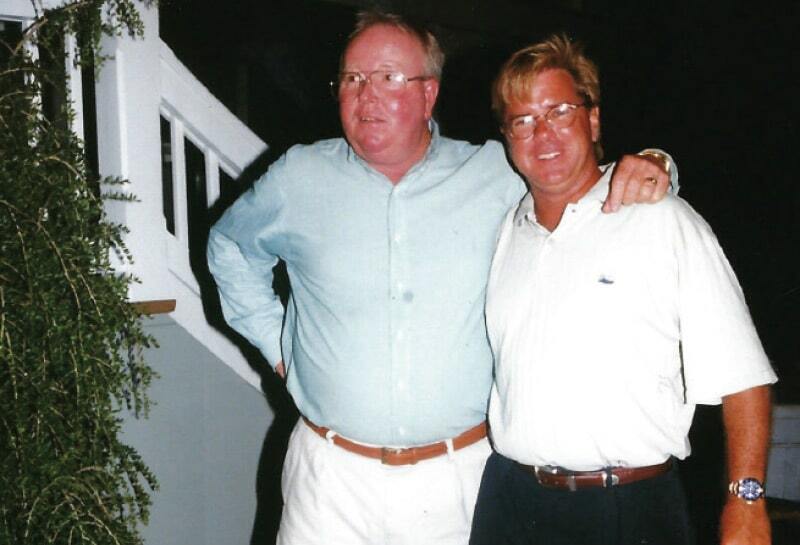 In the same vein, Bluewater is always moving, always growing, even if only in some small way,” notes Chris Jr.
By the 2010s, the Halls had watched boatbuilder Randy Ramsey’s Jarrett Bay brand soar and shared many days of camaraderie with him on the docks of tournaments and boat shows. The two companies shared much in common; strong leadership, service skills and often, customers. 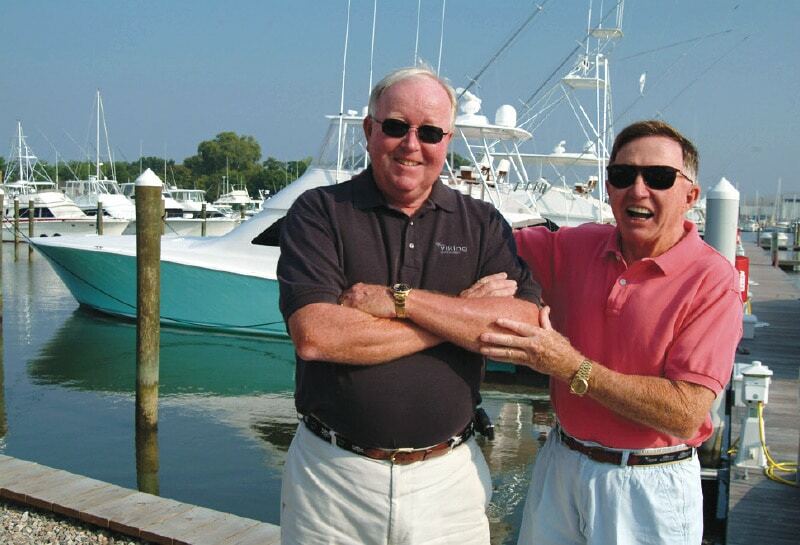 An idea bloomed and after much discussion, the two sales operations “tied the knot” in 2012, announcing their merger at the Annapolis Boat Show. 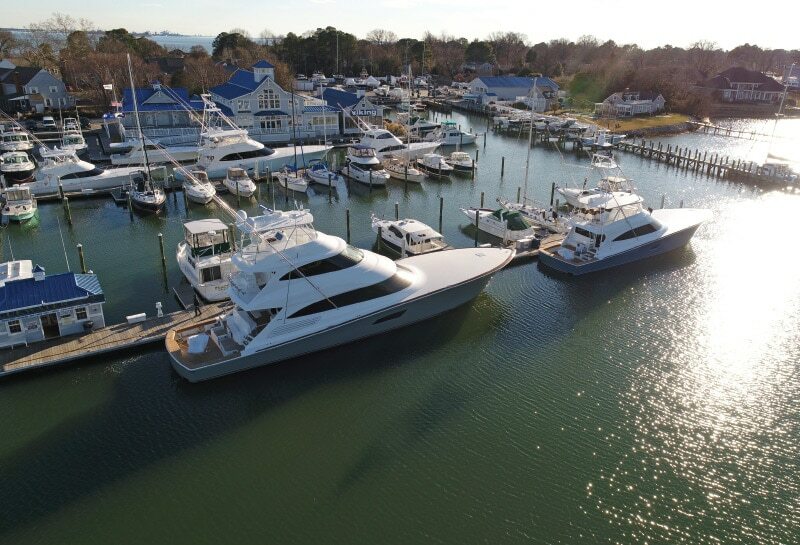 The new Bluewater Yacht Sales now had an unmatched dominance of the Mid-Atlantic market, due to their own service networks and a growing number of brick and mortar sales offices up and down the East Coast. Slowly and with painstaking care, they picked through brands and locations to position the company in the strongest ways possible. Viking’s Tom Carroll sums it up well, “This industry is evolutionary, not revolutionary. Some may have a good idea but try to do something in twelve months that really needs five years to get right. The best leadership philosophy determines who succeeds and who doesn’t. 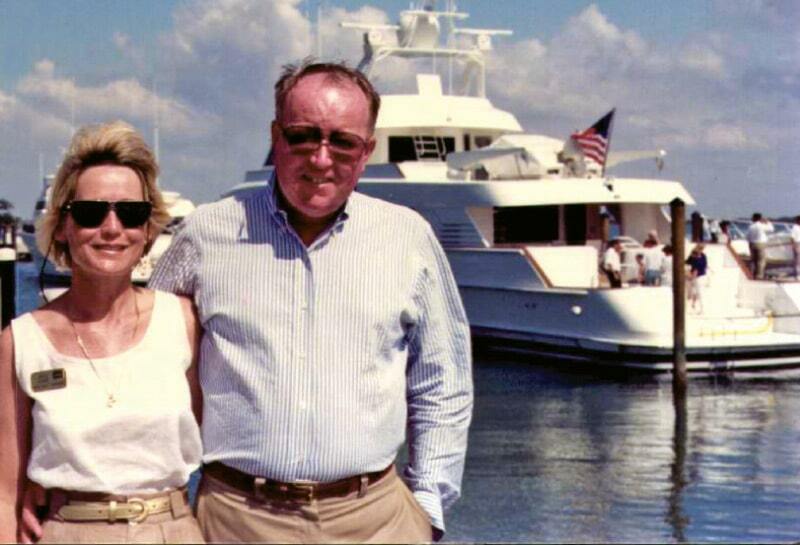 Chris Hall gets that.” That may explain why Bluewater is still here and evolving some 50 years after Chris first bought that bigger boat—a decision which led him to a lifetime of leadership in the yachting industry. As long as it is legal and moral Bluewater will never say “it can’t be done’ The whole team is like family and they work very hard to make your purchase and service experience the very best. Congratulations to all for an incredible 50 years of success!!! What a great story!! Wow! This is article is beautifully written! Cheers to 50 years! The recent video produced by Harry Hindmarsh celebrating Bluewater Yacht Sales 50 years in business is absolutely incredible!! Really sums up the philosophy of how Bluewater’s commitment to developing long term relationships with both Customers as well as the various business partners is so critical to their overall huge success! Congratulations on 50 great years in South Hampton Roads!! !